High Domain Authority (DA),(PA) & Trust Flow (TF) at least DA20+ and TF15+links can give a facelift to your ranking. We offer 100% Whitehat Blogger Outreach and Guest Post Service. other different tools to get job done. I use different methods to build links like, Guest Posting, skyscraper Method, Guestrographics, etc. The Report - Once the content is live, you will receive the live link. 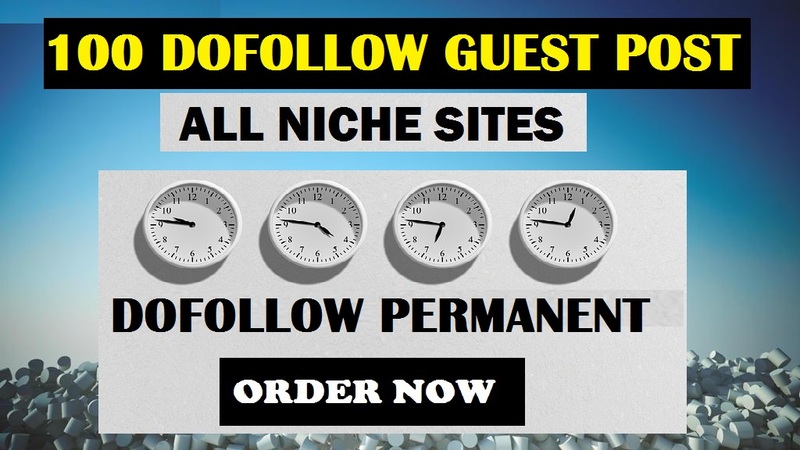 Why choose us over other guest posting services? •	We have been in business for 6+ years with 100% feedback. •	We write the article for you! •	Our process is backed by experience with hundreds of campaigns in a wide range of niches. ***Will you take care of the content? No, you have to provide the content or purchase the extra add-on. ***What is the Turn Around Time? Turn around time is normally 1 month if you don't have the content. if you provide the content, I will deliver within 25 days. Note- We do not accept Adult and Dating niche. Hi, i am Google adward certify more than 5+ years Exp in Digital marketing field..I am a PR and outreach expert, and I can help you do media outreach to land guest posts and backlinks...Read moreHi, i am Google adward certify more than 5+ years Exp in Digital marketing field..I am a PR and outreach expert, and I can help you do media outreach to land guest posts and backlinks on authority sites....and optimistic person and motto is high quality+experience=good result...:) Quote:"Success is the result of perfection, hard work, learning from failure, loyalty, and persistence".......!!!!!!!!!! !